Nudging just ahead of Kumar Sangakkara but with a much better average, strike rate and in fewer matches is AB de Villiers. 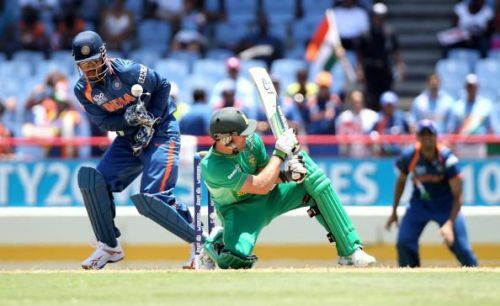 No player also managed more ODI centuries between 2007 and 2011 World Cup than the Proteas batsman, who had eight, to go along with 17 fifties. In total, AB de Villiers scored 2,880 runs at an average of almost 50 with eight centuries, 17 fifties and a strike rate of 92. Although his career-best ODI score is 176, which came against Bangladesh in 2017, his top score during that period was just 121. With Amla just starting to make his mark on the side, this period was when AB took over the reins and started establishing himself as one of the best batsmen in the world. He was particularly impressive in 2010, when he scored five ODI centuries, his career-best tally of most tons in a calendar year along with 2015 when he scored five.